I picked up this top from Walmart for $1.00 the other day. 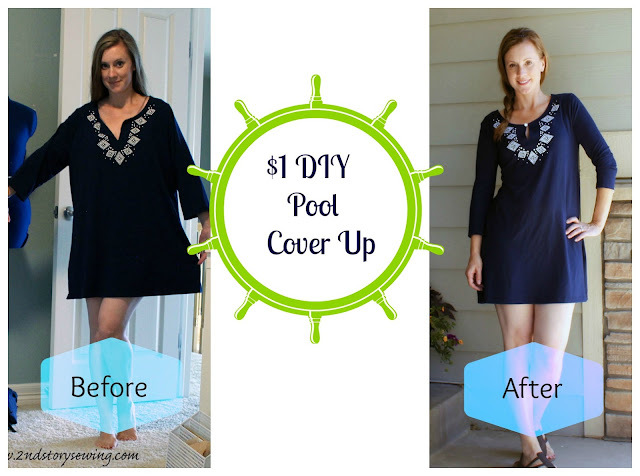 I thought for a buck it was worth trying to make it into an easy swim cover up. This cover up started as a 1X top. 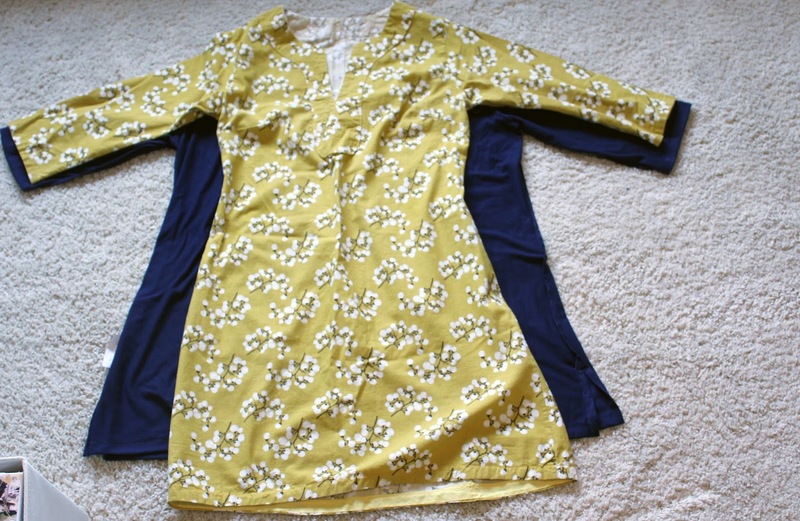 I took a dress (you may recognize this is my Yellow Boden Knockoff Dress) and used it as a guide for sizing. 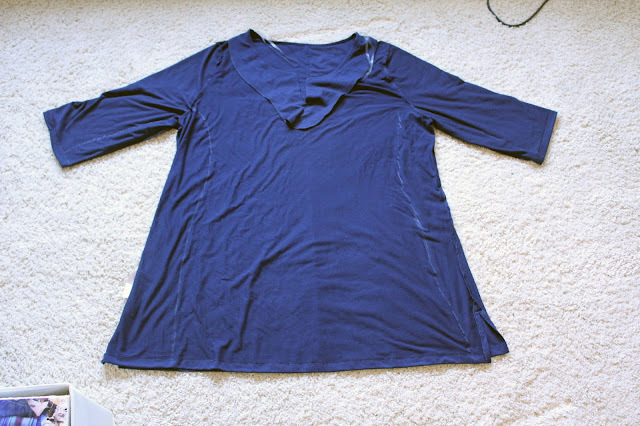 After I turned the navy top inside out, I traced around my dress leaving a little extra room through the hips, tapering it out to the bottom (I ended up letting it out more at the bottom than the chalk lines show below). Using these tracing lines I stitched all the way from sleeve end to hem on both sides and tried it on for fit. I adjusted it slightly a couple times to get the fit the way I wanted. Once I was happy with the fit, I serged the seam to finish it. Gave it a press with the iron and then moved on. The top had a v shape cut into it and it flopped open quite a bit. I decided to quickly stitch a small white button to one side and a loop of 1/8 inch elastic to the other side to create a quick button closure. Love this! I'm also loving the new layout! Great refashion! Love the nautical look:) Pinning! Stop by. I posted DIY Doily Jacket to the Sew Can Do Party!